I’d seen the hat photos on facebook a few weeks ago and ignored them – too tricky and not right for our current UK climate – you know the ones…..
Then a couple of days ago a good friend challenged me to make one, one friend I could ignore, then two others pipped up on my facebook timeline saying of course I could make one of these. I like a challenge (ask my husband about my driving test), so I decided to have a go! A quick phone call to my local haberdashery to ask if they sold such a thing as Mercerized cotton, which they did – so off I set. I got there to find out the cotton they had was completely wrong, but luckily they had a few balls of this wonderful pink colour which should do the job. It’s called Katia Brisa colour 13 ??? which all looks great – until you realise it’s all in Russian! 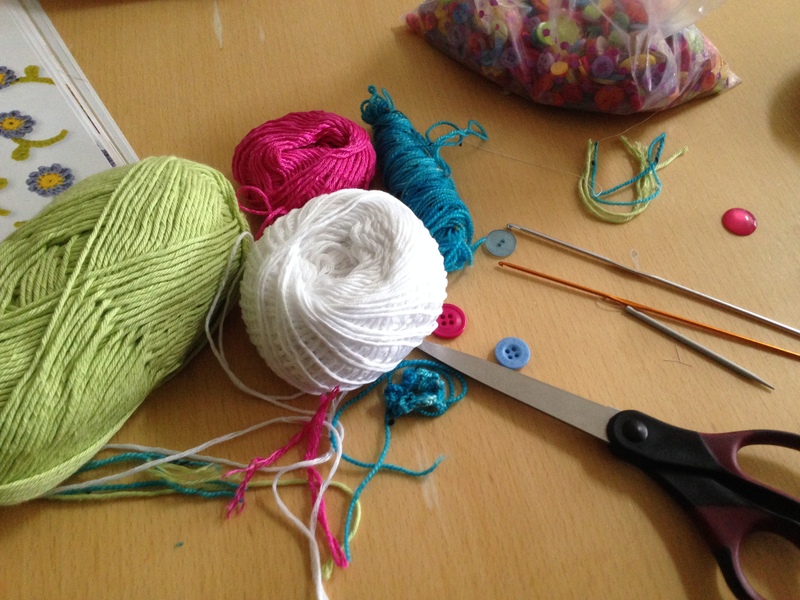 I then tried a youtube video, again, no luck – well this is what I ended up with……….. I don’t think I have ever started and undone a project so many times in my entire life! But give up I did not… and I very luckily stumbled across this blog – from Louise in Australia …. and she saved my crochet reputation! 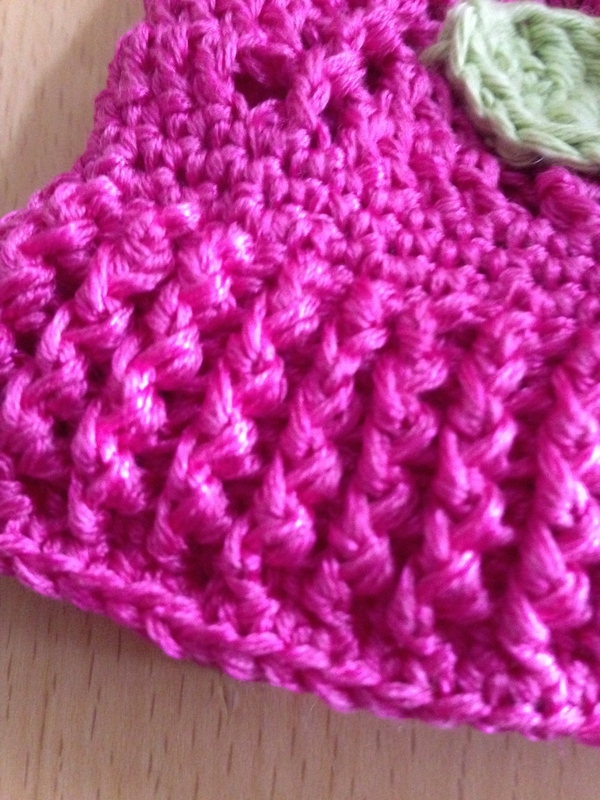 Three rows on single crochet on a 2.0mm hook is not kind to the hands! 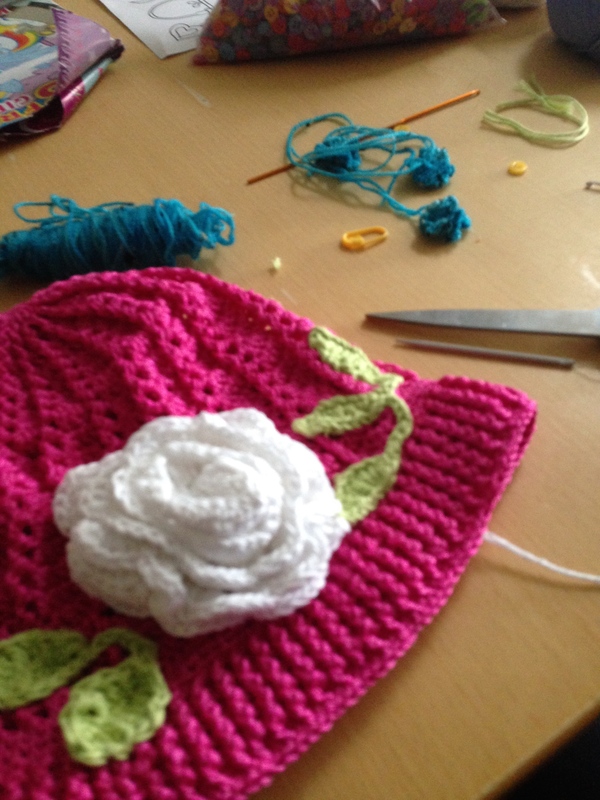 But then the brim – I read Louise’s instructions, started and stopped, ended up with twice as many stitches as I needed, undid it again, started, and again got it wrong. 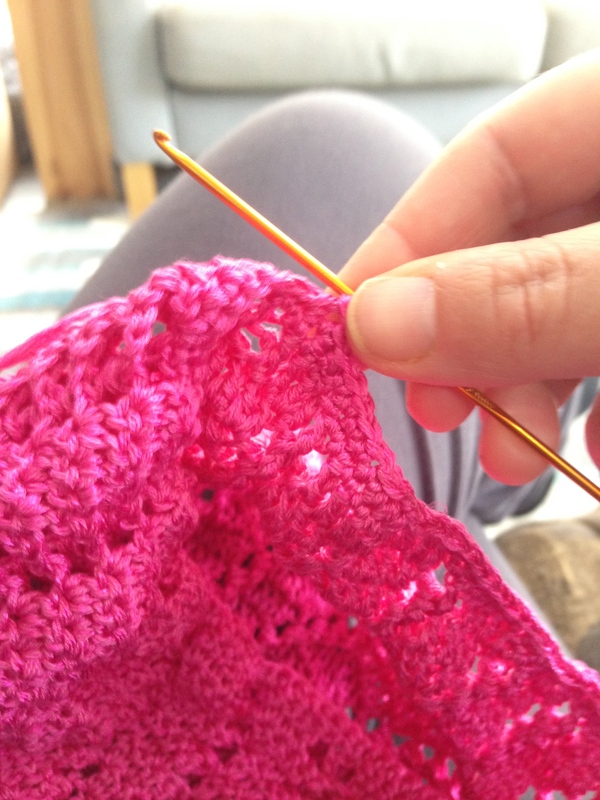 Louise even gives step by step pictures – but could I manage it – nope! Then I had a eureka moment. I went back to the original pictures and studied what the brims looked like – then plan B was born. Chain 3, DC in the same stitch, then *FPDC, BPDC* and continue the * * until the end, then each row is the same. 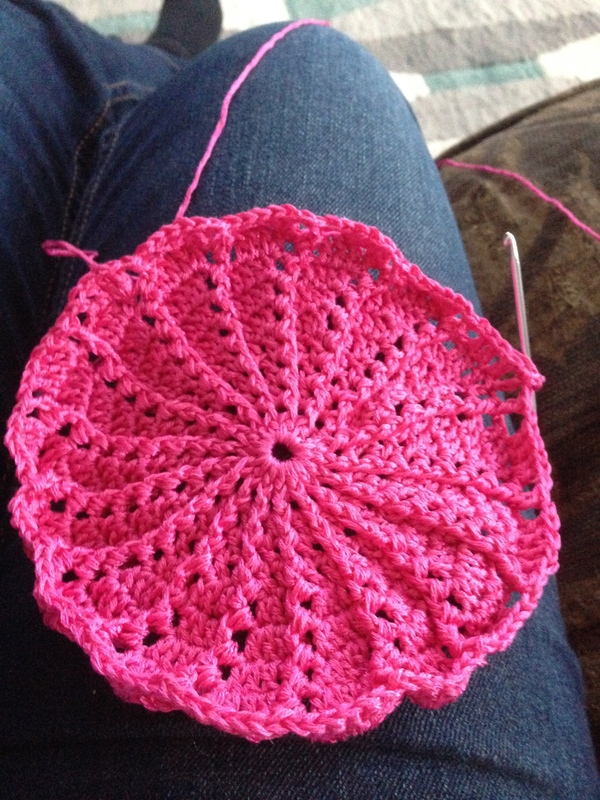 I like Louise stopped after 5 rows in total as my fingers hurt. A couple more edging rows, then the final single crochet all the way round. 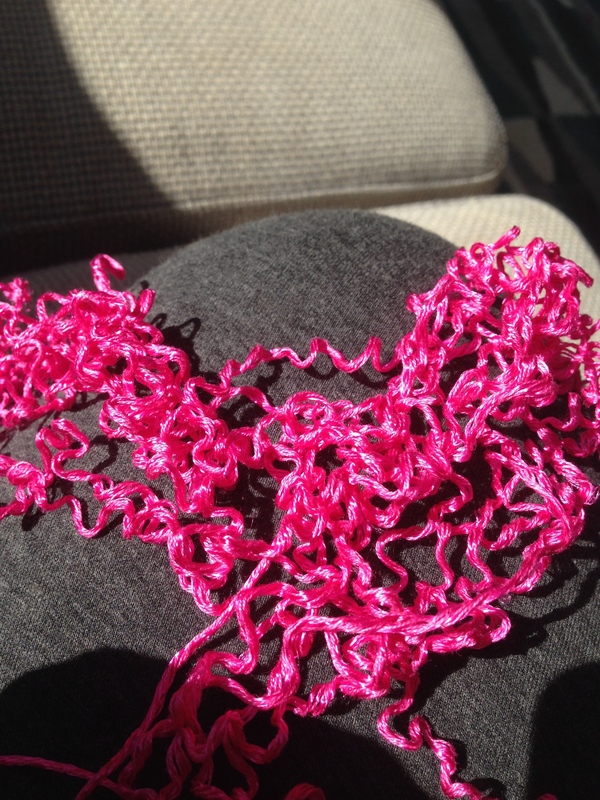 Leaves – I made up – a cross of, Chain 11, 1SC in the 2nd chain from the hook, then 1HDC, 1DC, 1TC, 1TC, 1DC, 1HDC, 1SC, then slip stitch over to the end, and chain at least 11 more and repeat, then do about 16 chains before the last leaf. The bigger leaves follow the above instructions, but when I got the end I turned round and went up the other end of the chain. The little blue flowers – were a chain 6, 3DC in the chain furthest from the hook, chain 5, *SS then chain 5, 3DC, chain 5*. Repeat * -* until you’ve got 5 petals and pull tight! Add a couple of buttons and it looks pretty good I think. 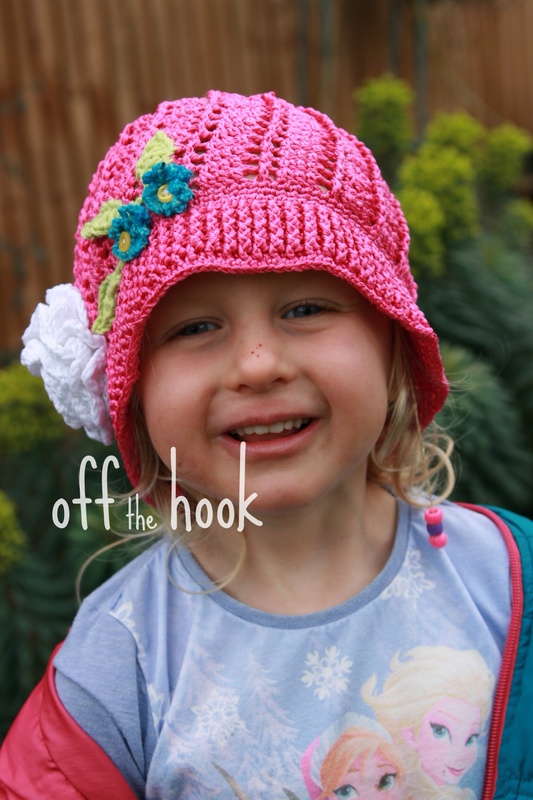 Apologies for my daughters grubby face – but here she is showing off her new hat! I love this photo of her……..
but I think my favourite photo is ……. I love how the flowers bring the whole thing to life! I’m glad we are not alone!!!! 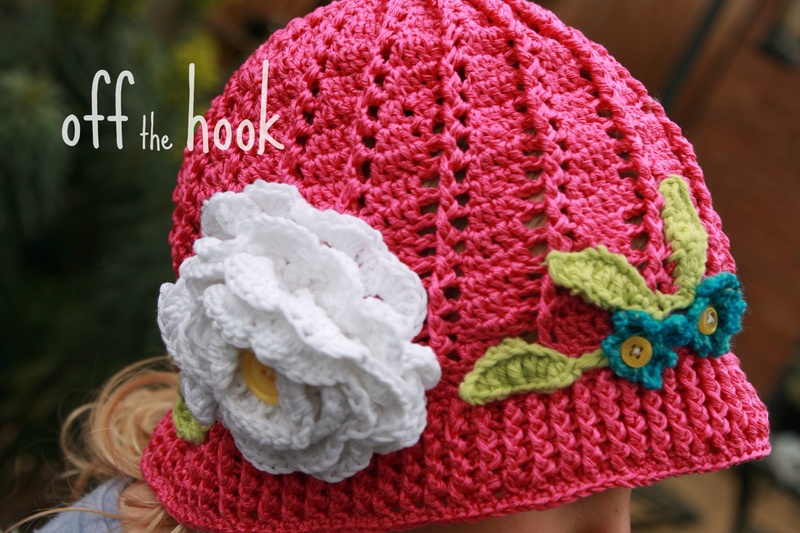 Yep – the brim is a killer – good news though – I’ve tried it on a slightly larger hook (2.5mm), and it’s fine – and a lot less painful! 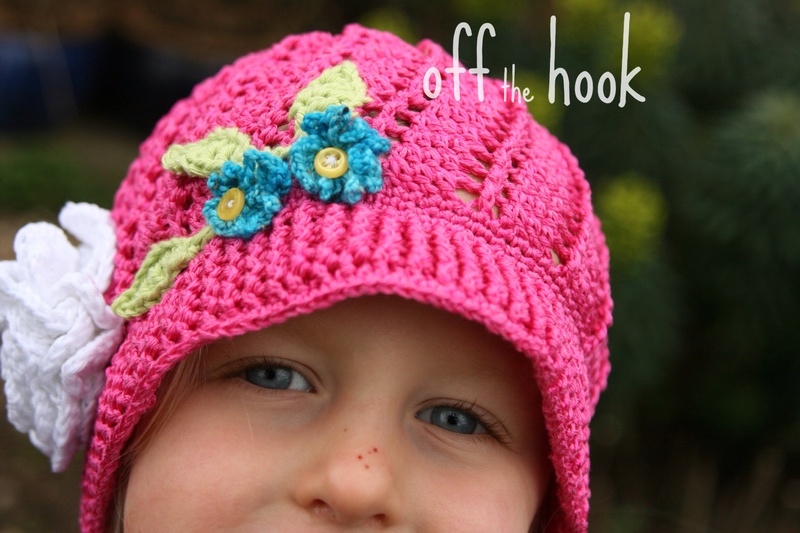 I’m experimenting with the “other” hats and brims so keep an eye out for my blog next week! just a quick question about the brim. 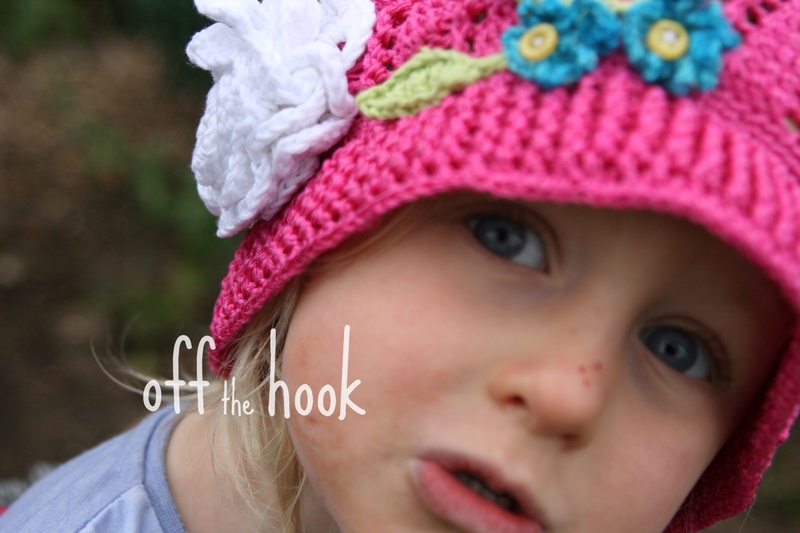 did you continue using size 2 hook? 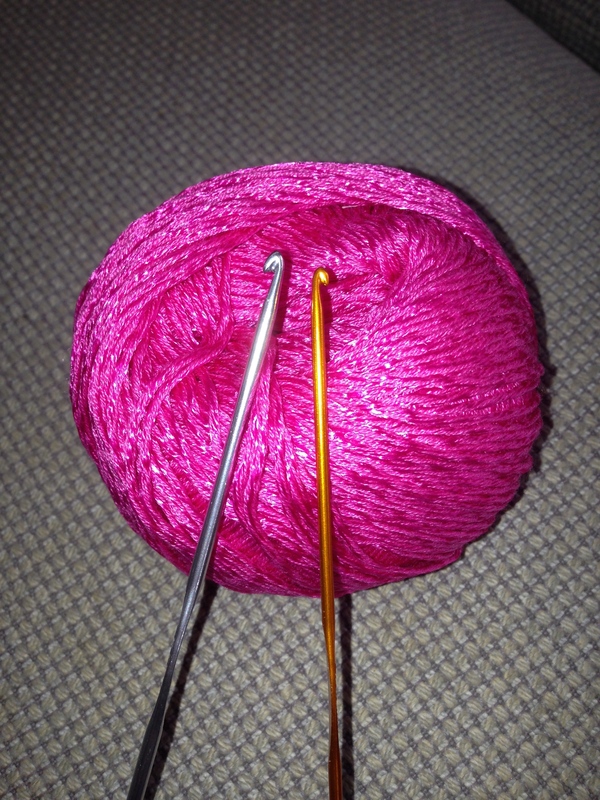 Hi, For this pink hat – yes – I continued with the 2.0mm hook, but I’ve since made a purple one (which I’ll post pictures of soon as it’s a different design) and used a 2.5mm hook for that one- both turned out fine – and the 2.5mm was easier on my hands! I’ve loved this little hat from day one when I first saw it. . . it is absolutely super cute and I’m so delighted that I found you guys who did an excellent job on deciphering the pattern. Thanking you kindly and keep up with your awesome patterns. 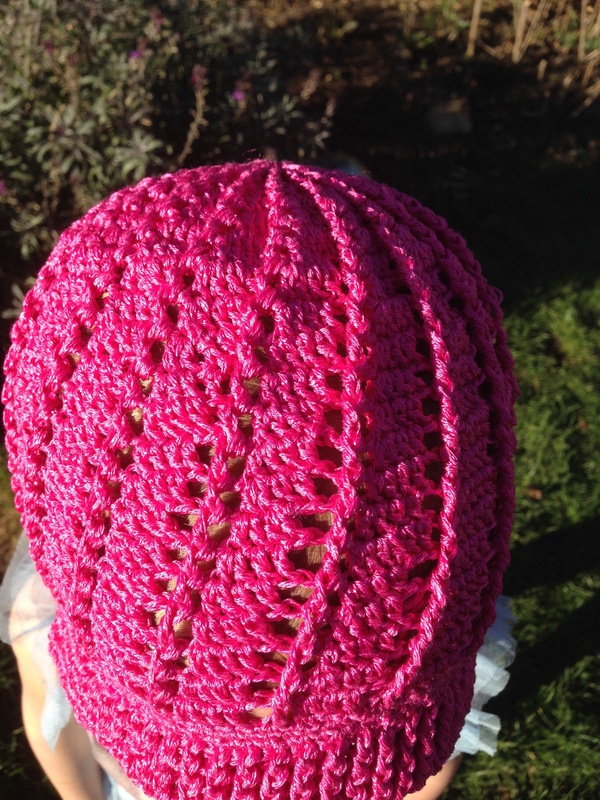 I really like the swirl crochet hat and would like to know if you have the completed pattern. If so where can I get it? Please let me know and thank you for your hard work. 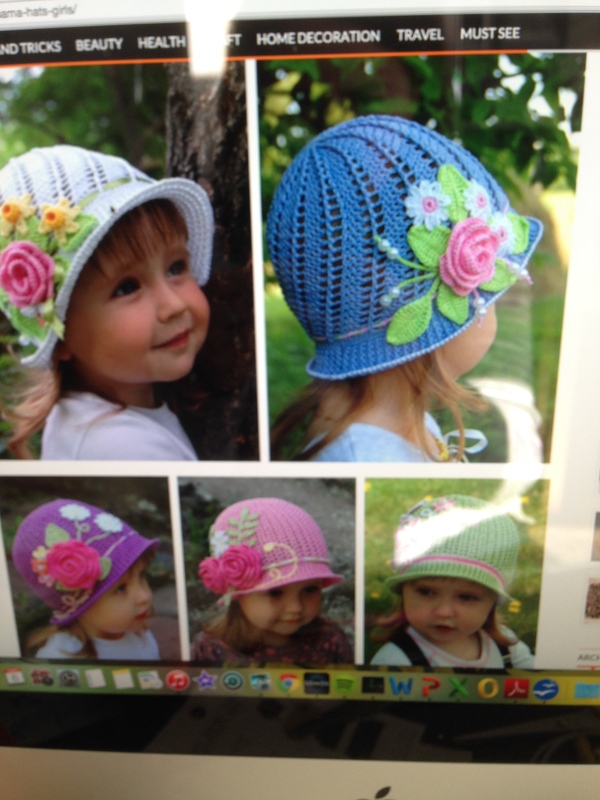 I have been trying to find the correct weight/ply of the yarn to make the summer Cloche hat for some toddlers. Yours are beautiful, but it seems like you used the 4 ply yarn. My first attempt I used a cotton 4 ply and it turned out as an adult size hat. Any yarn ply size suggestions please! 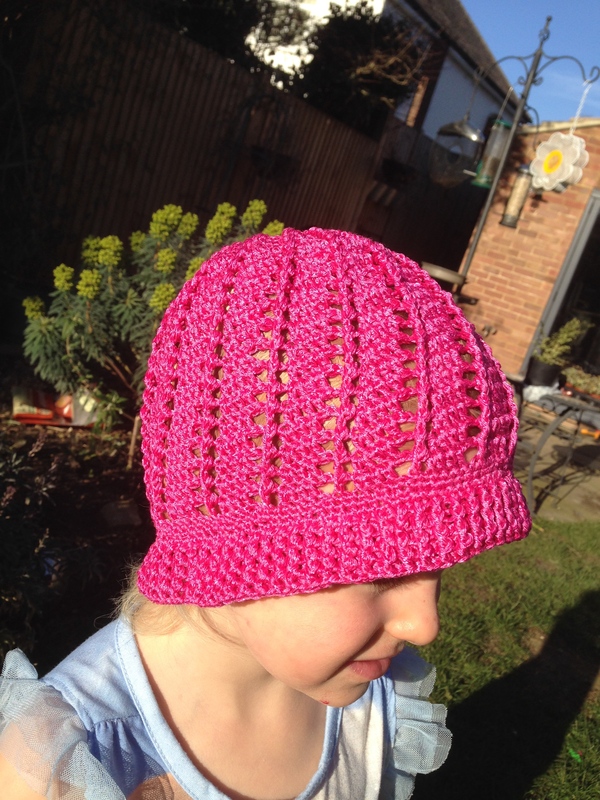 I use Yarnart Begonia for most of the hats – the yarn makes a huge difference….. it’s a 4 ply mercerised cotton but only uses a 2.25 a 2.5mm hook – very different to most cottons you can buy. Have a look on eBay or Etsy maybe.